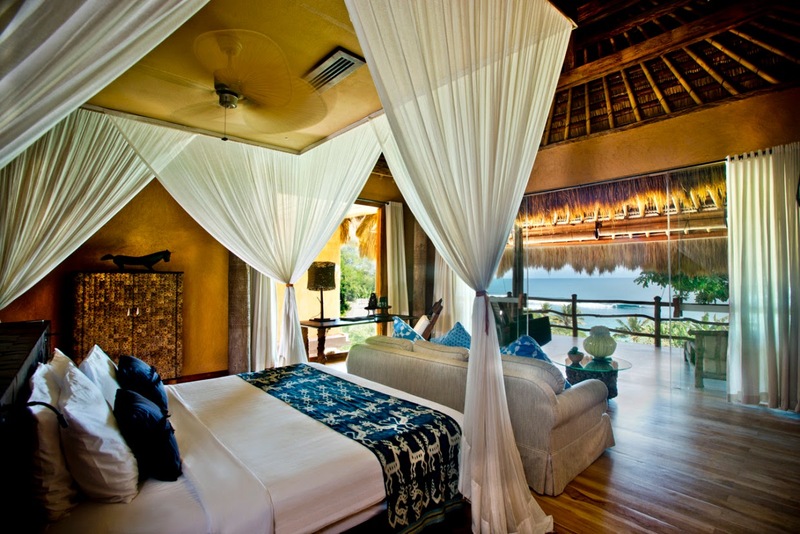 Nestled on 560 acres of natural land on Sumba Island is Nihiwatu, an all-villa resort that is “on the edge of wildness.” The resort is comprised of 21 villas that are all built on private terraces, all with large verandahs that sway through the trees. Guests have access to the iconic Boathouse which gives them opportunities to snorkel, scuba dive, fish, try stand-up paddle boarding, or even take private surfing lessons. The dining experience is heavily focused on at Nihiwatu, as the resort’s approach is to “inspire from the garden.” When it comes to cooking meals for their guests, the resort will only use fresh ingredients that are homegrown, raised on grains, or caught that day, giving guests the ultimate meal!